Coleslaw is like an evergreen salad that is not green in colour though. Seriously, nothing beats this crunchy homemade coleslaw. Every bite is just so refreshing. I do not know why but I have this impression that people do not enjoy coleslaw as much as I do. Recently, I made Pull Pork with a very small portion of coleslaw to go with it. How wrong I was!! All my friends enjoyed the slaw so much that the bowl was swept clean including the sauce!! This only shows how good this coleslaw is. 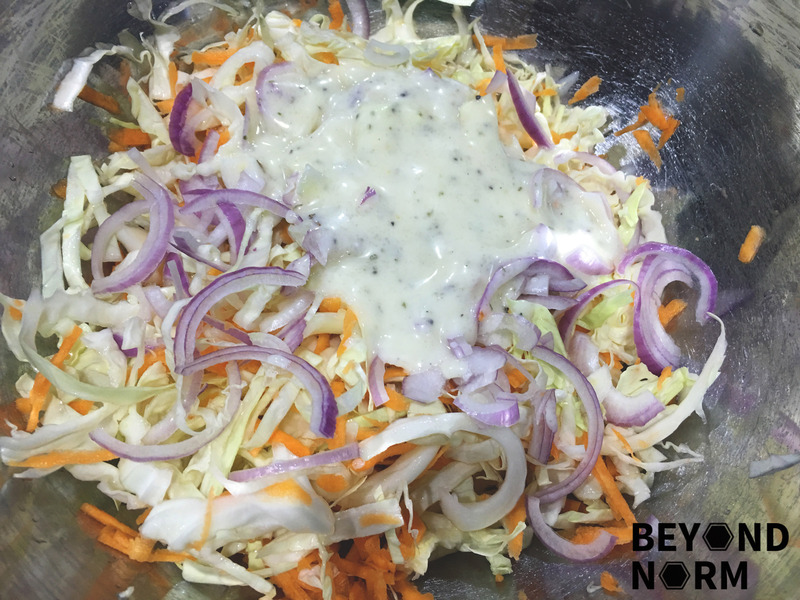 😀 The two factors that distinguish whether the coleslaw is good are the crunch and the flavour of the dressing. Draw out the water from the cabbage with a sugar and salt brine for a mere 5 minutes. Then rinse well with cold water. Put it through the spin dry of a salad spinner or sit them on a strainer till it is fairly dry. 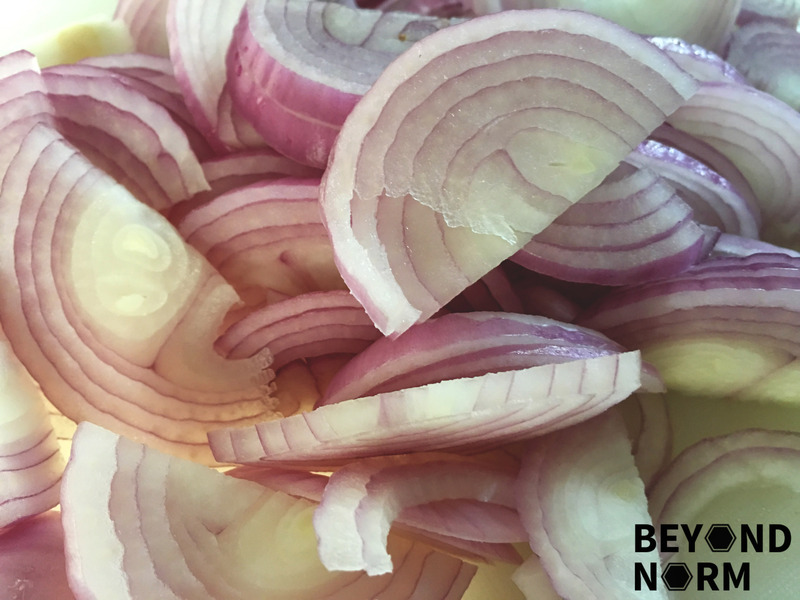 Transfer the cabbage to a large bowl, then add the carrots and red onions. Set aside. In a small bowl, whisk together the remaining ingredients and some sugar to taste, pour over the coleslaw mixture and toss until everything is well incorporated. Chill for about an hour or overnight.